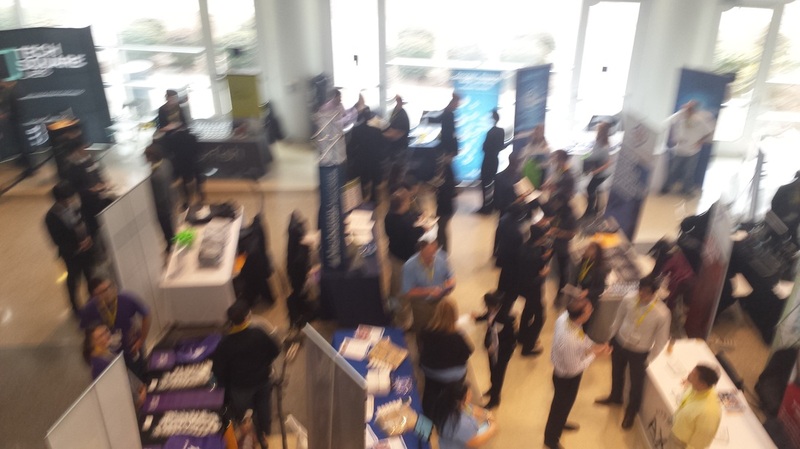 Georgia Tech’s College of Computing (CoC) 2015 career fair is a stressful, high-stakes mix of students vying for jobs, recruiters looking to find the best candidates and the organization team preventing all-out chaos. This career fair offers invaluable opportunities for networking and forming connections between students and recruiters, but I also observed (and felt) the stress, frustration, and fatigue resulting from the career fair experience. This event is attended by approximately 400 companies and over 5,000 students each semester, and even a small improvement to the process has the potential to reach and affect multitudes of people. My team and I were drawn to investigate the current career fair experience in more detail, discover opportunities for improvement and prototype technology to enhance the experience for the core stakeholders. 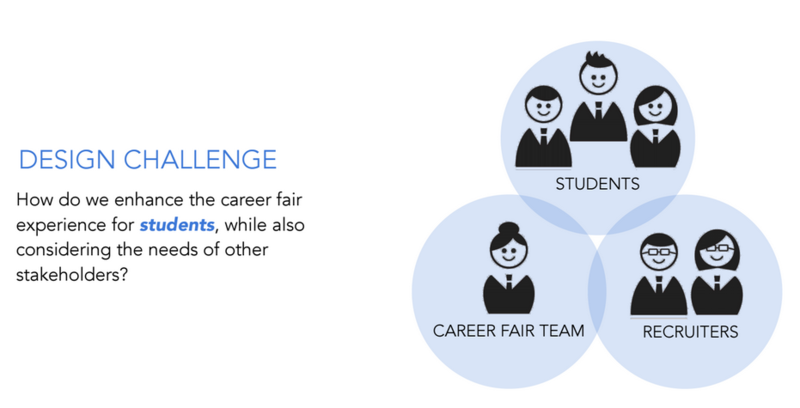 We considered the career fair process first from a bird’s-eye perspective, followed by diving in on time-specific and stakeholder-specific stages of the process. 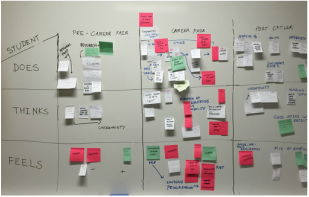 In our efforts, we leveraged the context and goals of each stakeholder, in order to design a more effective, less frustrating experience through holistic service re-design. I gathered user insights via observation, survey and semi-structured interviews. After conducting preliminary research, I consulted with my team-mates and we created empathy and journey maps detailing the current experiences of the core stakeholders: the students attending the fair, the recruiters + company representatives looking to hire students, and the career fair organization team. Through discussion and data review with my team, I synthesized our user/stakeholder research into three core personas. Once we outlined and discussed our users' needs and pain points, we brainstormed and created three divergent prototypes - exploring wearable technology, mobile computing, and shifting actions to different time stages of each user flow to improve our core targets: time management and data management for the three user groups. After considering feasibility and the intersection of stakeholder needs more deeply, we chose to pursue designing a web-based portal that would allow students, company recruiters and the career fair organizers to connect and communicate in a targeted, optimized manner. Further in our design process, we chose to focus on improving the experience primarily from the perspective of students attending the career fair. 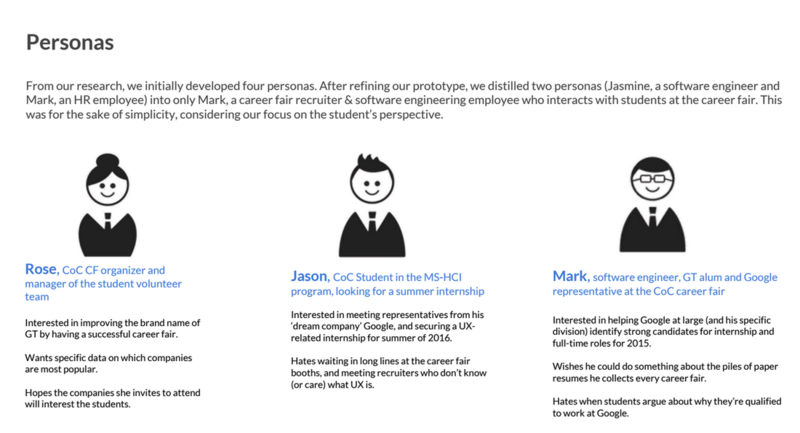 Our final prototype reflect primarily the student persona's perspective. 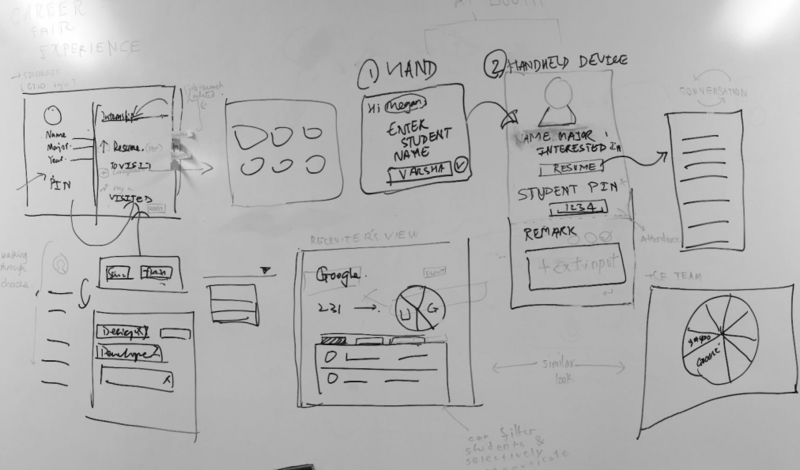 I helped create wireframes and sketches that informed our final mockups, which were created by the UI designer on our team. I worked with the UI designer to ensure that each wireframe and mockup showcased meaningful functionality. I designed the poster displaying our work to researchers and professionals visiting during the GVU Research Showcase - communicating the key pain points we aimed to diminish, the positive experiential aspects we wanted to retain and highlight, and the paths and interactions of each stakeholder in our proposed re-design. By working directly with the organizer of the CoC career fair, as well as talking with company recruiters and representatives, we were able to gain insight into the complex forces and motivations shaping the campus career fair. 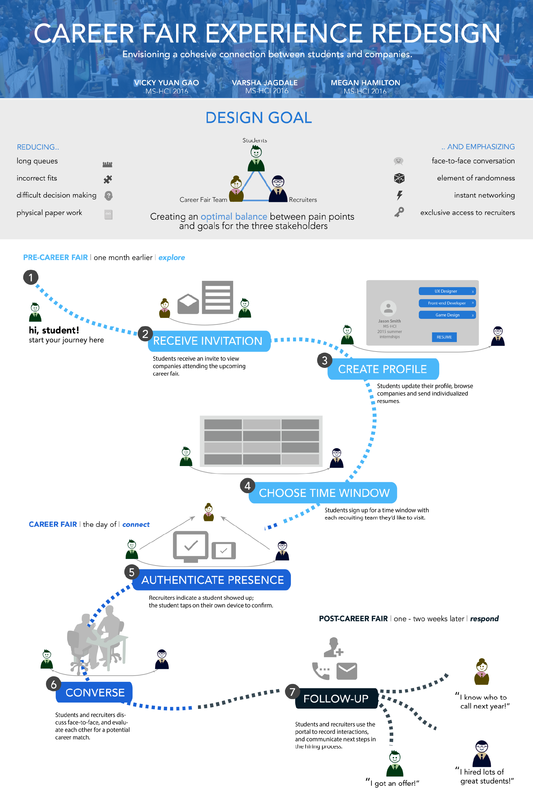 While it's not possible to satisfy all stakeholders' desires with our prototype, we discovered and pursued a design direction that would benefit each stakeholder in a meaningful way. I emerged with a new-found respect for all the nuanced considerations needed to make these events a success. We presented our final deliverable, an interactive web portal prototype along with our project poster at the Spring GVU Research Showcase. My team and I also presented the prototype to the CoC Career Fair organizer, and we are in discussion to see if our design can influence the future direction for the Career Fair's web presence.